When Lourdes T. Pangelinan became Director-General of the then Secretariat of the Pacific Community (SPC) in January 2000, she made history as the first woman to lead a Pacific regional organisation, the SPC. She first joined the Pacific Community as Deputy Director-General in 1996. At the time, she was no stranger to the organisation, having represented Guam at SPC technical and policy meetings for a number of years. “She was the first woman to lead the oldest and largest regional organisation in the Pacific and led it with strong political, development and business acumen while demonstrating that Pacific people and not organisations should be the centre of development through it all,” says Linda Petersen, former manager of SPC’s Human Development Program and now Team Leader of Pacific Women Shaping Pacific Development Support Unit. During her six-years as Director-General, Pangelinan maintained an ‘open door’ management style, and under her guidance, SPC became a leaner and more efficient organisation while retaining its Pacific Island heart and soul. Pacific Community members unanimously reappointed her to the position of Director-General for three two year terms, the last of which ended in January 2006. 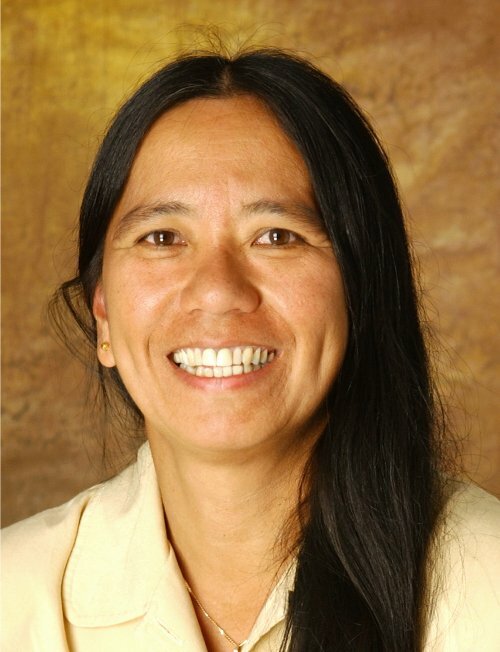 Lourdes T. Pangelinan is from Guam, often referring to herself as a ‘simple Chamorro woman’. She graduated from the University of California at Davis in 1976 with a degree in international relations and then completed a year of postgraduate study in France. Ms Pangelinan began her career as a journalist with a Guam newspaper before being appointed Special Assistant to the Lieutenant Governor of Guam in 1979, based in San Francisco. She returned to Guam in 1984 to become Chief of Staff, Office of the Governor of Guam, and later took up the role of Director of Communications with the Superior Court of Guam.